Ingvar Kamprad- "Bara den som sover gör inga misstag. Problem är en möjlighet." Lita inte på dem som tror att dom vet, för det gör dom ofta inte. Du är jävligt snurrig i huvudet! De snackar om cash flow och jag säger att jag inte vet vad cash flow är men jag vet vad jag har i fickan. Tidigt lärde jag mig regeln att 1 procent i minskad försäljning gör 10 procent i minskad vinst. Tänk om vi fick motvind ett par år. 15 procent underförsäljning och hela vinsten vore utraderad. Det är därför volymen betyder så mycket. Den bästa affären gjorde jag som ung affärsman då jag importerade 500 pennor för 1 kr styck från Paris. När jag sålde dem vidare fick jag ut 4,50 … Det gav en extremt bra vinst – tänk, 500 gånger 3,50 kr på ett bräde. Det gav mig blodad tand. Waste of resources is a mortal sin at IKEA. To do business with a clear conscience is an attitude that pays. We have to find more time for ourselves and to regain respect for the environment in which we live. There are few people who have made so many fiascos in my life as I have. This is part of my life I bitterly regret. After a couple of meetings in pure Nazi style, I quit. Now I have told all I can. Can one ever get forgiveness for such stupidity? That was the biggest blunder I’ve made in my entire life, and I regret it deeply. I have said sorry, many times, but it has left an indelible mark on my conscience that continually haunts me and perhaps it’s best this way. I know that, if need be, there are those who correct my mistakes. If you only knew how many of them I’ve made, mistakes. IKEA is not completely perfect. 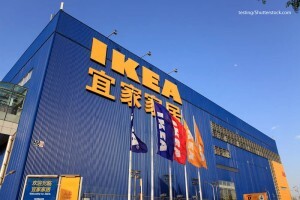 It irritates me to death to hear it said that IKEA is the best company in the world. We are going the right way to becoming it, for sure, but we are not there yet. Now, by jimmy, I’m going to start a new life. It is our duty to expand. Those who cannot or will not join us are to be pitied…A glorious future! Time is your most important resource. You can do so much in ten minutes. Ten minutes, once gone, are gone for good. Ten minutes are not just one-sixth of your hourly pay. Ten minutes are a piece of yourself. Divide your life into ten-minute units and sacrifice as few of them as possible in meaningless activity. Simplicity and common sense should characterize planning and strategic direction. We discuss too much, for example. And, in doing so, we lose touch with reality. We have fantastic people who work for us, but even managers are incapable of making even the smallest decisions. It’s the directors who are Ikea’s big problem. I’m not afraid of turning 80 and I have lots of things to do. I don’t have time for dying. Do you know what was the happiest moment of my life? Last year, when the doctor who operated on my cancer told me that the operation had gone well. It left me dancing with joy. Since then I have felt young. The temples of design in places like Milan or God knows where overflow with beautiful, original furniture that costs extortionate amounts of money. The vast majority of people don’t have six figure amounts in the bank and don’t live in enormous apartments…it is for just such people that I created Ikea. For everybody who wants a comfortable house in which to live well. A need that crosses all countries, races and religions. To design a desk which may cost $1,000 is easy for a furniture designer, but to design a functional and good desk which shall cost $50 can only be done by the very best. What is good for our customers is also, in the long run, good for us. The objective must be to encompass the total home environment; that is, to offer furnishings and fittings for every part of the home whether indoors or outdoors. It must reflect our way of thinking by being as simple and straightforward as we are ourselves. It must be durable and easy to live with. It must reflect an easier, more natural and unconstrained way of life. The IKEA spirit is a strong and living reality. Simplicity in our behaviour gives us strength. Simplicity and humbleness characterize us in our relations with each other, with our suppliers, and with our customers. How the hell can I ask people who work for me to travel cheaply if I am traveling in luxury? It’s a question of good leadership. I could regularly travel first class, but having money in abundance doesn’t seem like a good reason to waste it. Why should I choose first class? To be offered a glass of champagne from the air hostess? If it helped me arrive at my destination more quickly, then maybe. I could have an office all to myself, but since my collaborators don’t have one, then I too am content to have a desk in the shared room. It is better to be a bit stingy than throw money out of the window. I’m a bit tight with money, but so what? I look at the money I’m about to spend on myself and ask myself if IKEA’s customers can afford it. If you want to maximize results, it’s not enough to simply preach – you have to set a good example. I am very proud to follow the rules of our company. Everything we earn we need as a reserve. We have to still develop the Ikea group. We need many billions of Swiss francs to take on China or Russia. What else could I do at my age? Grow tomatoes in an allotment behind the house? I don’t know how to do anything apart from sell furniture. I am your classic, specialized idiot. Simple routines have a greater impact. It is not just to cut costs that we avoid luxury hotels. We do not need fancy cars, posh titles, tailor-made uniforms, or other status symbols. We rely on our own strength and our own will! Happiness is not reaching your goal. Happiness is being on the way. It is our wonderful fate to be just at the beginning. I don’t think any of my sons are capable of running the company, at least not yet.